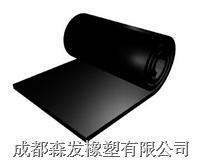 SEEFAR RUBBER PLASTICS CO., LTD is the leading manufacturer of SEEFAR® brand skived PTFE sheets. 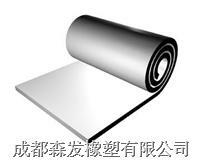 Skived PTFE sheets and films are available from 0.0005” to 0.375” thick, and in widths to 60”. Standard widths include 12”, 24”, 36”, 48”, and 60”. Skived PTFE sheets and films are available in continuous rolls or cut to your desired length. We also offer material slit to your desired width in order to help you reduce scrap and waste. This affords you the greatest economy and minimum scrap loss. We can also laminate, punch, or die cut all of our skived sheet and film products. All our PTFE skived sheets and films can be furnished with one or both surfaces etched for adhesive bonding. We offer both sodium ammonia and sodium naphthalene chemical modification. We have the ability to customize or enhance any of our standard products with fillers or reinforcements to meet your unique applications. Current customers include companies in the semiconductor, chemical processing, food, pharmaceutical, aerospace and medical industries. With production capabilities including resin compound blending, compression molding, and skiving, we are able to precisely control all aspects of your product from start to finish. Our in house laboratory and quality control ensure that you receive the quality product you expect.